Measurement: 6 1/4" H. 3 7/8" W.
Condition: This lovely Tea Room scarce footed Ice Tea Tumbler is in outstanding condition. It is in Undamaged Condition without chips, cracks, or mold damage. We have double checked all the sharp edges on this piece and have found them to be damage free. 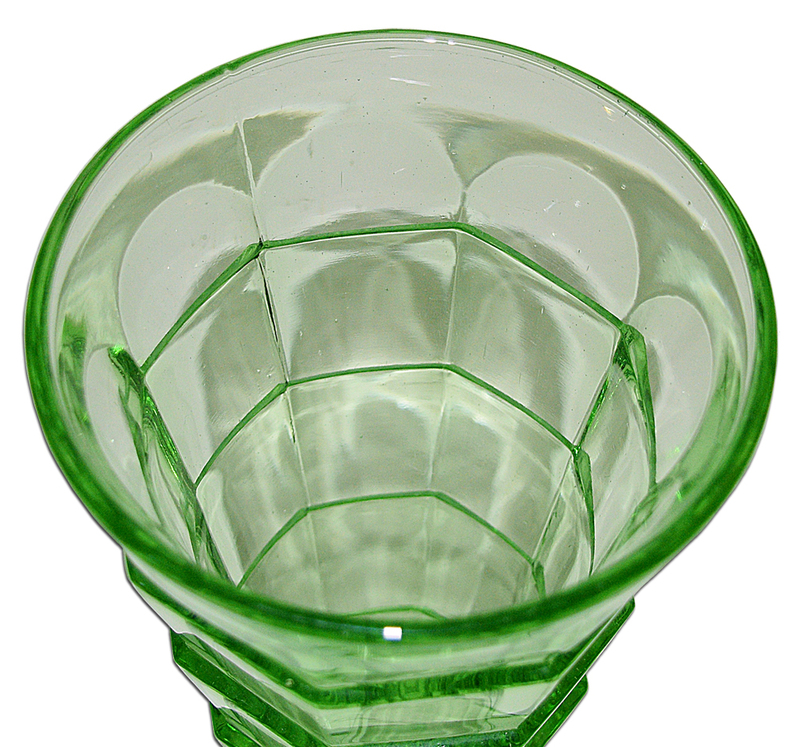 You can find these tumblers with minor chips, but seldom without. The color is outstanding. 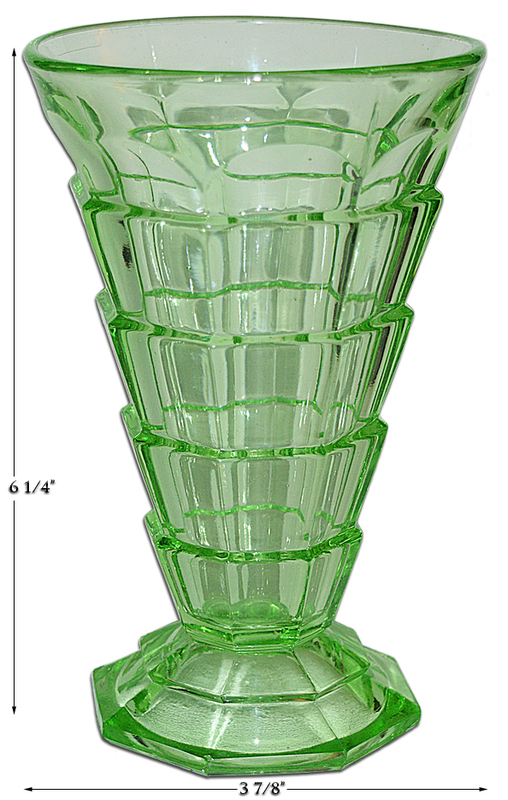 Some of the most stylized Depression Glass patterns were produced by The Indiana Glass Company. Tea Room was one of these patterns. It easily fits in with a Deco theme. 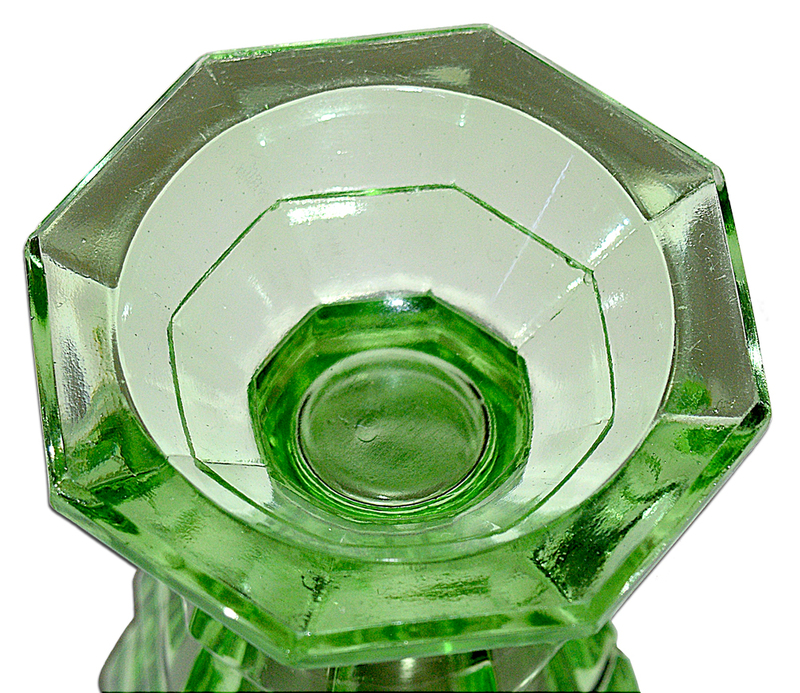 This pattern is most commonly found in pink and green, although a set of crystal can be obtained. There were only a few pieces of amber made, but they are nice to add as accent pieces.